Na'aleh is pleased to offer our annual Kol Nidre service. Tickets for Kol Nidre are free but advance registration is required. CLICK HERE TO REGISTER FOR THE KOL NIDREI SERVICE. 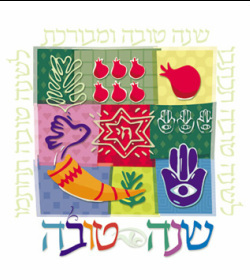 TIME AND PLACE:: Kol Nidre will be at BMH-BJ: The Denver Synagogue, 560 South Monaco Parkway, Denver, CO 80224. Na'aleh will be meeting in the Gallery Room (closest entrance is on the south side of building). Kol Nidre will begin promptly at 6:20pm. Plan to arrive a few minutes before. We are very grateful to BMH-BJ for generously providing us with space for the service. TICKETS: For security reasons, a ticket and photo ID are required for entry into BMH-BJ during High Holidays. Tickets for the Minyan Na'aleh service are FREE but you MUST obtain your ticket in advance. To reserve your free ticket, you must SIGN UP by clicking the button at the top right. BABYSITTING / CHILDREN'S PROGRAM: Minyan Na'aleh parents are invited to send their children to the excellent children's programming at BMH-BJ for a nominal fee. Age-appropriate children's programming is offered for children age 4 months to 6th Grade. Children's programming is from 9:45am-1pm on Rosh Hashana and from 6:15-9:00 pm on Kol Nidre. The cost is $18 per child for each session. You must register your children_ by completing the form and making payment directly to BMH-BJ: The Denver Synagogue. This form must be completed in addition to signing up for tickets. THE SERVICES: Kol Nidre services will be spiritually energizing, with all of the traditional liturgy and lots of lively singing. It will be a traditional service lead by women and men. Seating will be with a "tri-chitza" with three sections - men's seating, women's seating, and mixed seating. OTHER HIGH HOLIDAYS SERVICES: While Minyan Na'aleh will be organizing Kol Nidre, participants are welcome to join BMH-BJ: The Denver Synagogue for all other high holiday services. A donation to BMH-BJ: The Denver Synagogue is appreciated. We are very grateful to BMH-BJ for extending this warm invitation to our participants.